Several years ago when Pinterest first came on the scene I started to see all these beautiful Advent calendars come through my feed. I wanted so badly to recreate one of these adorable crafts for my family. But I tried and failed miserably. 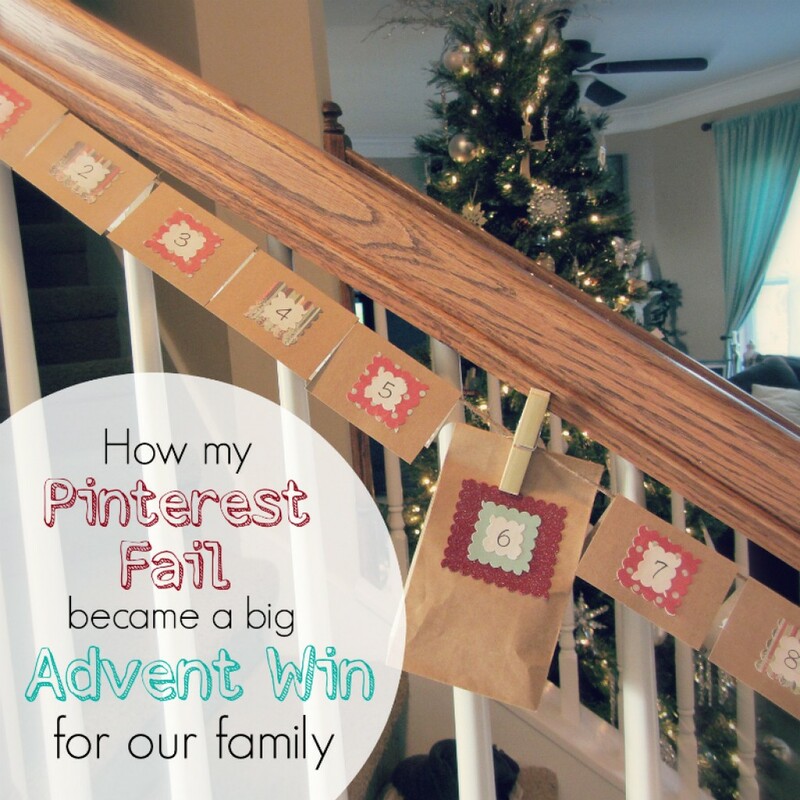 . .
Today I’m sharing how my Pinterest fail turned into a beautiful tradition for our family and encouraging you to ask God how he would have your family prepare your hearts and homes for Christmas. . .
Maybe God will lead your family to read through the Bible this Advent season. Perhaps you’ll feel led to simply talk about the Christmas story each day. There is no right or wrong way to do Advent. Depending on your family personality and your schedule this season, observing Advent may be more involved or incredibly simple for you. Ask God to show you what he has for your family and enjoy the process of starting a new tradition that you can continue for years to come! If you’d like to join my family in reading through the Bible this Advent season, you can start by downloading this free reading guide HERE. 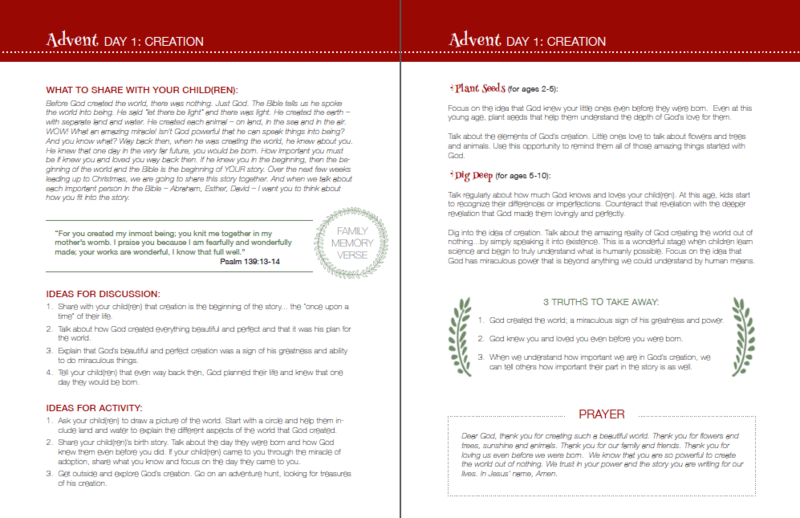 This printable includes 24 scriptures that highlight major Bible stories from Genesis to Jesus’ birth. I recommend using the Jesus Calling Bible Storybook to expand on each day’s Bible story/scripture with your family. By walking through the Bible we are telling our family the Story of how and why Jesus came to us on Christmas. If you’d like to join us in using the complete guide – including daily parent devotional, thematic discussion and activity ideas for kids of all ages plus a family memory verse – click here. Does your family follow an Advent tradition? What are some of your favorite ways to prepare your hearts and homes for Christmas? 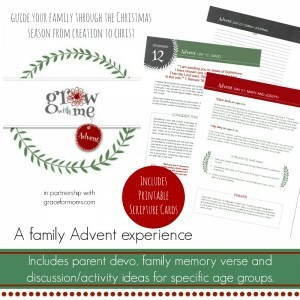 This entry was posted in Blog and tagged Advent, Kids, Parenting by Jessica Wolstenholm. Bookmark the permalink.